This is the last workout of the Open. It’s like Fran on steriods. 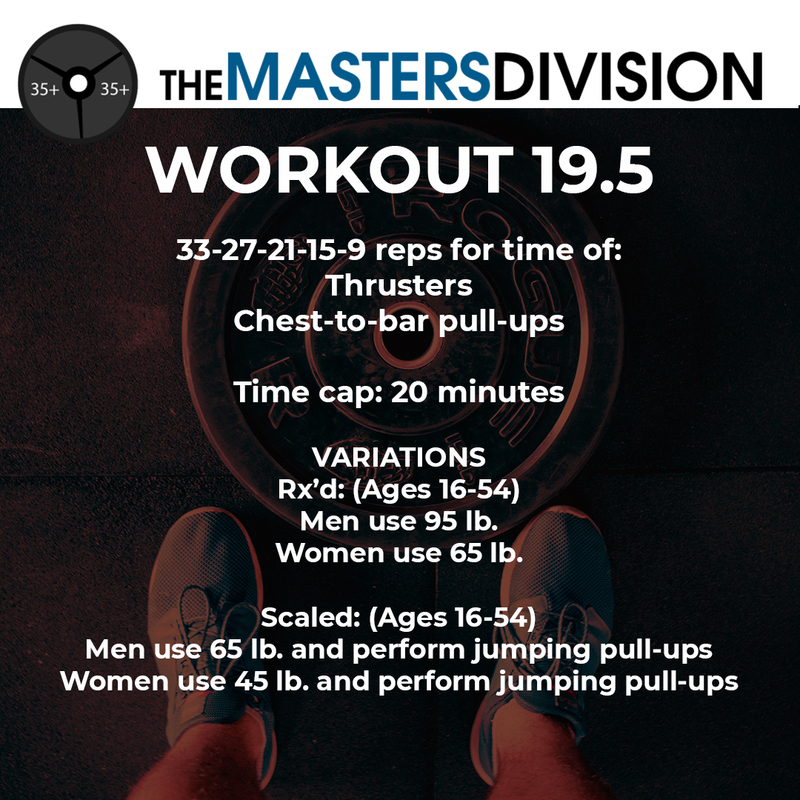 It ends up being 95 thrusters and 95 pull ups. So pace yourself. I broke up my sets of thrusters up early into sets of three. I know that transitions are important. But you need to control your breathing. I took a few seconds to catch my breath before I started the pullups each round. Watch me do 19.5 below.